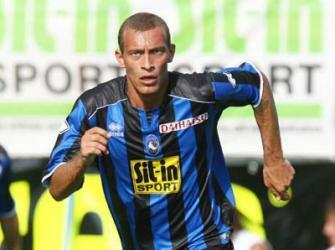 We’ve just signed this young, Italian midfielder today from Atalanta. As the internet (and others here) have been pointing out, he’s 24 years old and a product of their youth system, having played in the Serie A for the last 5 seasons. Our wheelers/dealers Monchi and del Nido have secured him at the Nervión for the next 5 seasons for 5.5€ million. He also will have a buy-out clause of 30€ million. That’s the way we do: buy low, sell high. This is good news, of course, as we saw our midfield depleted and tired at about two-thirds of the season. Duscher and Romaric were not offering very much going forward, and Renato hasn’t been the great distributer he was during the last 4-5 seasons. All in all, this is a good move. We were also looking to sign Borja Valero from Mallorca, but it seems West Bromwich had been asking too much for too long and wore out our directors’ patience. UEFA’s news outlet has said that Guarente is “strong in the tackle and creative on the ball”. Welp, he should match up well with our central enforcer Zoroka if that is indeed the case. This brings our summer signing list to 2: Mouhamadou Dabo and this dude Guarente. ¡VAMOS!!! Benoît Trémoulinas Returned to Practice Today!